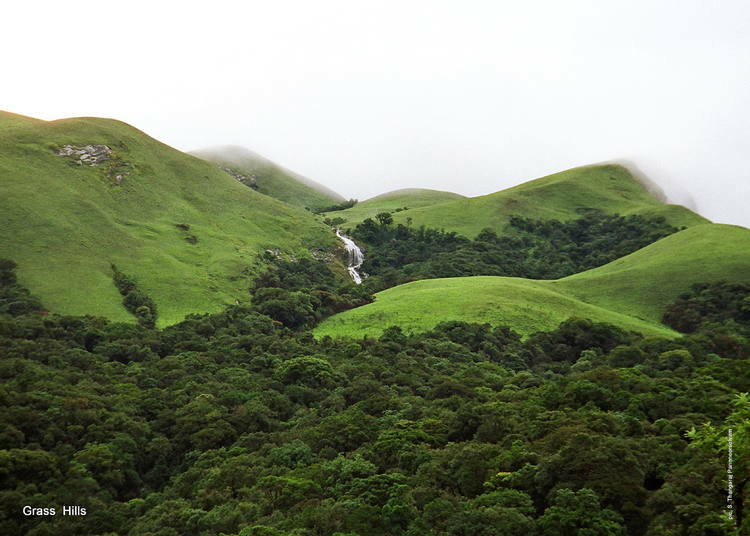 About 60% of the Western Ghats will be opened for development. While the Indian economy was liberalized this week 25 years ago and was opened to the world, boosting its growth and brought most famous foreign brands to the Indian consumers, it also compounded environmental damage as it promoted development at all cost and supported crony capitalism. This was soon visible as the environment continued to deteriorate with air in most Indian cities and water in almost all Indian rivers became highly polluted, groundwater aquifers dipped alarmingly in the Indo-Gangetic plains and excess use of chemical fertilizers and pesticides made many food items toxic, forests continued to decline and disappear. This onslaught of the so-called development also continued on India’s biodiversity hotspots like Northeast and the Western Ghats and as the Ghats are much larger and more easily accessible an area, many industries chose this part of the country. Western Ghats, a mountain range, running parallel to the western coast of the Indian peninsula, is a UNESCO World Heritage Site and is one of the eight “hottest hotspots” of biological diversity in the world, from near Gujarat border and runs approximately 1,600 km (990 m) Maharashtra, Goa, Karnataka, Kerala and Tamil Nadu and ends at Kanyakumari, India’s southern tip. In order to protect its biodiversity and unique status, the Government of India appointed a Committee under the chairmanship of the renewed environmentalist Prof. Madhav Gadgil, known as Western Ghats Ecology Expert Panel (WGEEP). This 14 member panel held 14 meetings in one and a half years and submitted its final report on August 31, 2011. It recommended the entire Western Ghats must be declared as Ecologically Sensitive Area (ESA) where only sustainable and economically sensitive development be allowed; meaning no mining and dams & HEOs as the area is one of the world’s ten “Hottest biodiversity hotspots,” having over 7,402 species of flowering plants,1814 species of non-flowering plants, 139 mammal species, 508 bird species, 179 amphibian species, 6000 insects species and 290 freshwater fish species; it is likely that many undiscovered species live in the Western Ghats. Also, at least 325 globally threatened species occur here. The then UPA government had issued a draft notification declaring Eco-sensitive Area in the Western Ghats spread across six states namely, Gujarat, Maharashtra,Goa, Karnataka, Kerala &Tamil Nadu on March 10, 2014. (See: www.envfor.nic.in/content/so243504092015-draft-notification-declaring-eco-sensitive-area-western-ghats-spread-across-s). Obviously, the policymakers and industrialists didn’t like this report and was termed as anti-development, so a different committee was appointed to reexamine the WGEEP report, on August 17, 2012, under the chairmanship of famous space scientist and planning commission member Dr. Kasturirangan. The HLWG had 10 meetings and four field visits before it submitted its report on April 15, 2013. It drastically reduced the ESA and now, instead of the total area of Western Ghats, only 37% (i.e. 60,000 sq. km.) of the total area will be under ESA. But, it retained a complete ban on mining, quarrying and sand mining in ESA and there will be no thermal power be allowed and hydropower projects be allowed only after detailed study. Also, red industries i.e. which are highly polluting be strictly banned in these areas. Even this highly watered down report is gathering dust as states have dumped the Kasturirangan recommendations for commercial projects and all signals are there that nearly 60% of the eco-sensitive, protected area of the Western Ghats, also known as water tower of peninsular India, will be thrown open for development and commercial projects. Five states– Maharashtra, Karnataka, Goa, Gujarat, and Kerala – have recommended to retain only 20,000 sq km ESA and release the rest 36,285 sq.km for development. And, Tamil Nadu is still sitting over it. It would indeed a sad day for India’s environment when one of the world’s most ecologically sensitive and biologically rich hotspots, will be sacrificed at the altar of the so-called development.